I started my homemaking journey with a practical interest in cooking. Cooking was not my favorite thing but it was a necessary reality. I assumed that responsibility in our marriage following the homemaking role models in my life - my mom, aunties, grandmas - all of whom did the cooking in their homes. Cooking never became a passion of mine but it was part of the job description which I fulfilled faithfully for many years. For fourteen years we followed a plant-based diet, not cooking with any animal products in our home. Our children grew up mostly vegan and as they became old enough, elementary-school aged approximately, I trained and taught them to cook by requiring their help and participation in the kitchen. For many years, in addition to providing three meals a day, doing the budget-conscious grocery shopping and managing a buying club, I made many basic foods from scratch, both for cost-saving reasons but also because I was motivated by a certain "homemade" homemaking ethic. A lot has changed in our kitchen in recent years. I don't hold to such high homemade standards anymore. Three of the five of our family eat an omnivorous diet, while the other two maintain plant-based diet styles. And having trained my kids to cook, I have slowly worked myself out of the chief chef duties I assumed for the first fifteen years or so of our family life. My cooking is simple. I'm a busy woman, with other interests and responsibilities. I'd much rather manage the kitchen (and I'm good at doing that) than cook all the meals and homemade snacks. Even at the hey-dey of my family cooking I didn't write a lot about food and kitchen work. But over the years I have shared recipes, snippets, and strategies from our kitchen and they are gathered below. I've even written a short e-book, How to Start a Food Buying Club, which you can find free here. For plant-based food philosophy and recipes see this resource page. House rules for hospitality and shared meals - At some point you realize it's as much about the spirit of the gathering as it is about the food you eat. It's complicated but it comes down to something simple: Love - Unless you are the kind of cook who feels enlivened by the challenge of dietary restrictions and food preferences, cooking for others, whether that's within our families or for guests at our table, can feel burdensome. A mixed family diet - We have one rule about shared meals, it has to be something everyone can eat. 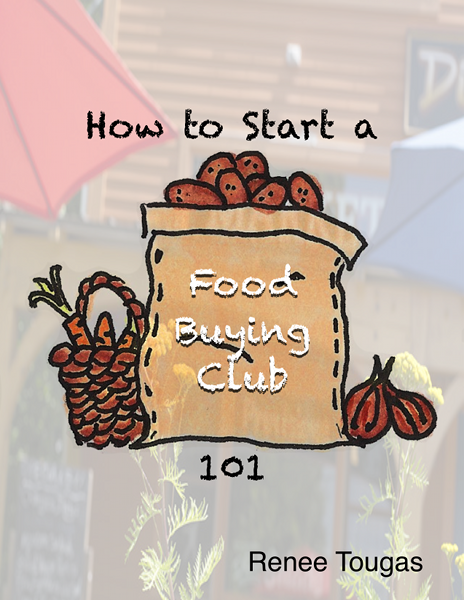 Not your typical how-to-reduce-your-grocery-spending blog post - I wrote a little ebook about how to start a food buying club, one of the best ways I know for saving money in the kitchen. Going Paper-less in my Kitchen ~ Digital Recipe Storage - The process of simplifying and digitizing my recipe binders. Spending Less Time in the Kitchen (& Menu Ideas for Winter Suppers) - Spending less time in the kitchen while still eating lots of veggies and cooking from whole food ingredients (and our basic weekly meal plan). Favorite Tools for a Whole Foods (Plant-Based) Kitchen - The five indispensable tools I use in my kitchen all the time, enabling our family to make delicious and healthy whole, plant-based foods. A Vegan Summer CSA Menu Plan - My basic meal planning strategy, regardless the time year is to plan our supper meals around main vegetables, beans or starches and fill in the spaces with other vegetables, beans and starches. Time I spend feeding my family - Turns out I have a full time job in the ktichen. The economics of eating local - The reality is that local food costs reflect the true cost of food. I cook therefore I am ~ Kitchen series introduction - The one thing I do more than anything else, is feed my family.